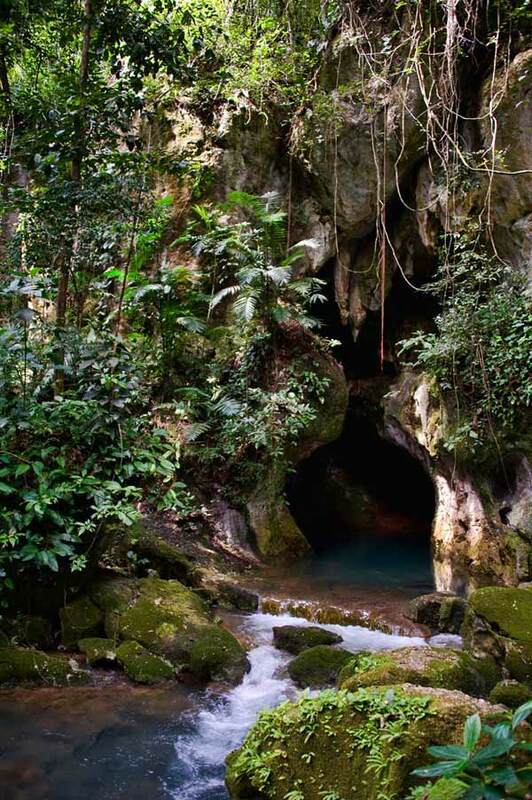 This is the mouth of Actun Tunichil Muknal, a cave in Belize that the ancient Mayans believed was the entrance to the underworld. 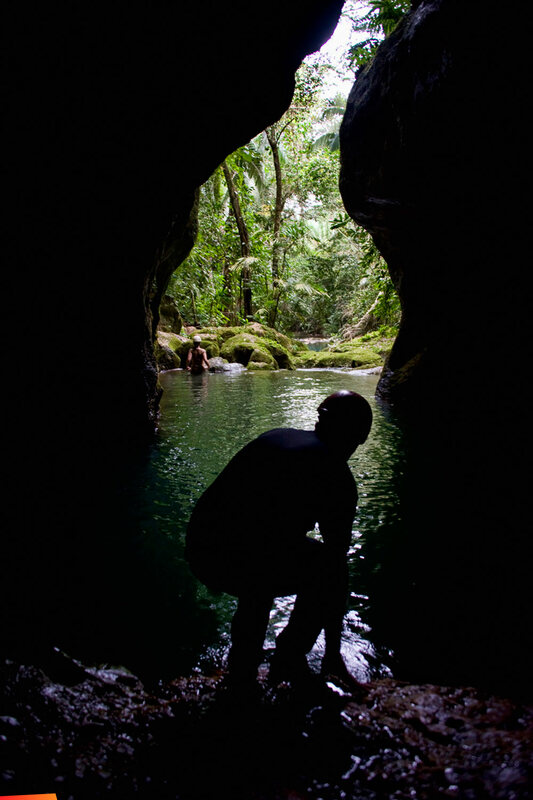 They took spiritual journeys deep inside of the three mile deep cave, often on hallucinogenic mushrooms, to make offerings and sacrifices to the gods. The water is naturally blue around the cave.